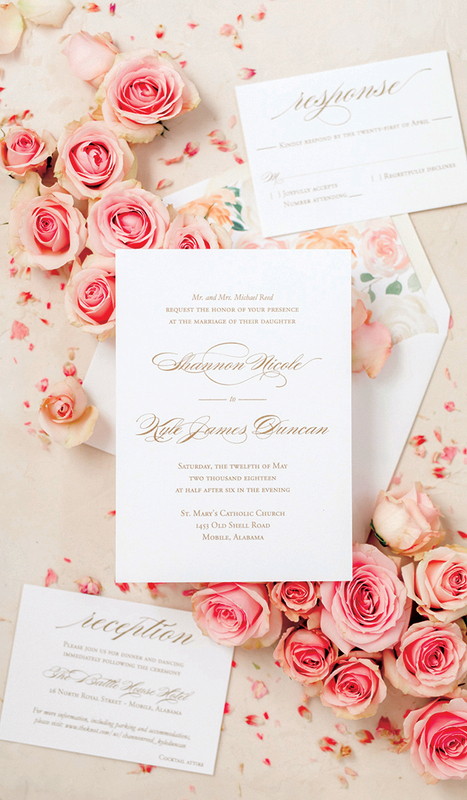 Our Elegant Gold Wedding invitation suite with metallic gold printing is one of my favorite designs. I especially love it paired with the peony envelope liner. 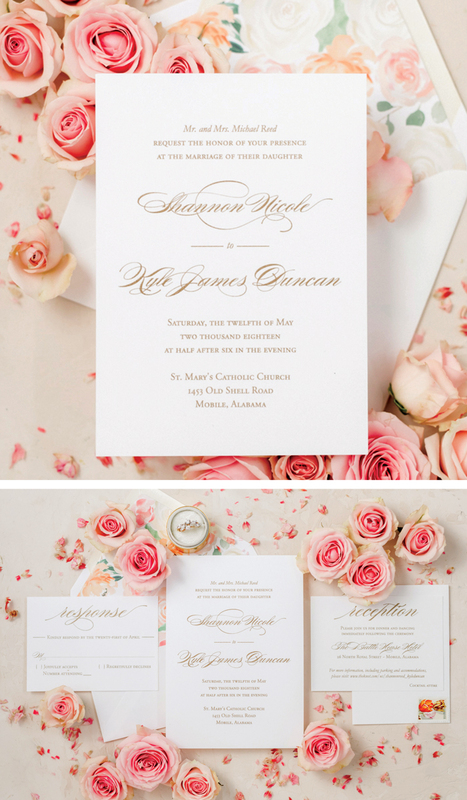 The combination of pink and gold is timeless and romantic.